Pebble smartwatches get detailed fitness tracking and new ways to send text messages. If you previously wrote off Pebble smartwatches for their limited functionality, you might want to start paying attention again. The latest Pebble firmware adds new fitness- and sleep-tracking features, while also making it easier to send text messages from a paired iPhone. On the fitness side, Pebble Time smartwatches can now automatically detect long walks and runs. From the Pebble Timeline, users can see how long the exercise lasted, how far they travelled, and how many calories they burned. Sleep tracking is also getting better with a smart wakeup feature in Pebble’s Alarms app. Users who wear their watches to sleep can get buzzed during a light sleep cycle, up to 30 minutes before their scheduled wakeup time. Both the sleep and fitness data now feed into detailed overviews in Pebble’s iOS and Android apps. 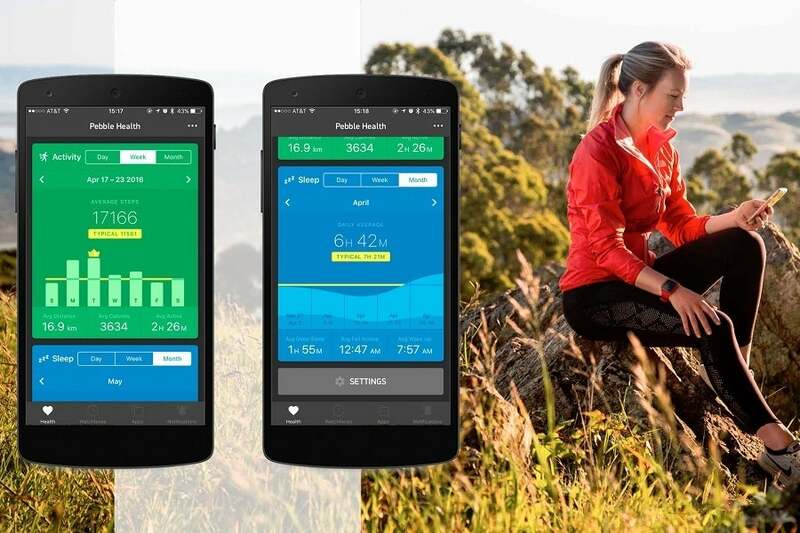 A dedicated Pebble Health section provides graphs on daily, weekly, and monthly activity, along with detailed looks at individual exercises. As for text messaging, Pebble Time watches now have a “send text” app for paired iPhones, similar to the one that arrived on Android in February. This allows for either canned messages or voice dictation. Just one catch: You can only send text messages from an iPhone with AT&T or Verizon, as Pebble has made arrangements with those carriers to handle SMS directly. Apple’s restrictions on iOS don’t allow Pebble to tap into the iPhone’s Messages app. Most of the new features are only available on the Pebble’s second-generation watches, which include the $150 Pebble Time, $250 Pebble Time Steel, and $200 Pebble Time Round. 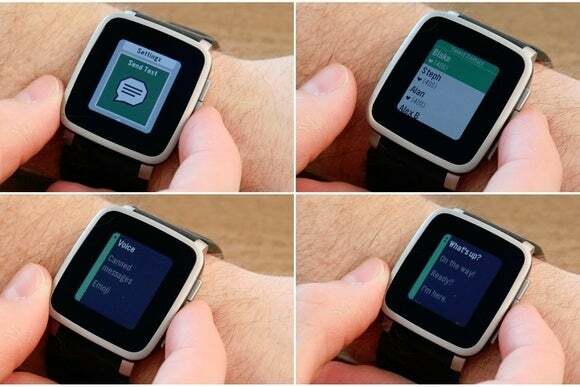 For original Pebble and Pebble Steel owners, the latest firmware adds the ability to respond to SMS or phones calls by text, but that’s about it. Why this matters: Pebble is still the underdog of the smartwatch business, and has been going through tough times as venture funding dries up, but that hasn’t stopped the product from getting a lot more useful. In recent months, Pebble improved its sleep tracking (with nap support), added custom vibration patterns, allowed watch faces to show fitness data, and tied Pebble Health into Google Fit and Apple’s HealthKit systems. It’s starting to feel like a more complete smartwatch platform, and a fine alternative to heavyweights like the Apple Watch if you’d rather have long battery life (or a much slimmer design than most smartwatches) and an always-on display.